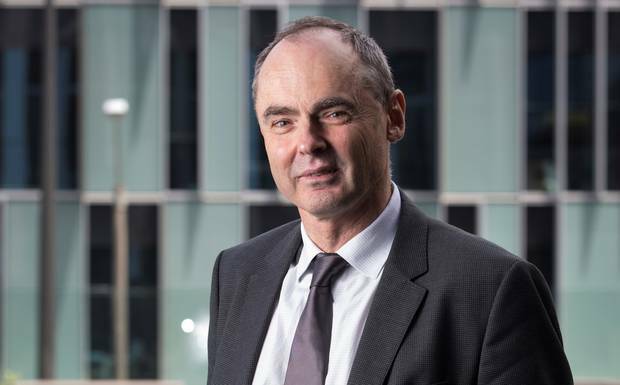 For this weekend's feature business article in the New Zealand Herald, Jeremy Sullivan chats with Holly Ryan on the rise and fall of former market darling Orion Health. It had "huge growth potential", "elegant products", a share price that topped $6 and a market value of more than $1 billion. 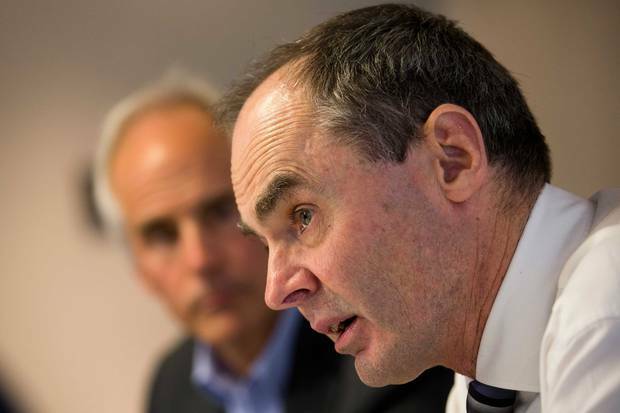 Fast forward to today, with the market value below $160 million and a share price that has been as low as 57c, and the question has to be asked: what went wrong with Orion Health? The Orion story began in the basement of a Mt Roskill house in the 1980s, when two friends and tech enthusiasts discussed their respective business plans. One was Compac Sorting Equipment founder Hamish Kennedy and the other was Ian McCrae. Having completed a Master's degree in engineering science at the University of Auckland, McCrae had gone to work as a telecommunications consultant for Ernst and Young. In 1991, McCrae and three colleagues went out on their own and in 1993 Orion Health was formed. "It was perfect timing," says McCrae. The New Zealand Government had decided to fundamentally reorganise the entire health system, creating a national patient index where all records could be linked to a patient's identification number. Orion had already been consulting to the ministry; it put in a bid for the contract and won. "[Our] technology interconnected New Zealand hospitals via messaging to the National Health Index," McCrae says. "We had New Zealand's first internet link in Auckland and we were the first project to automate and connect New Zealand hospitals." The toolkit Orion created for the ministry was gradually developed into the Rhapsody health records side of the business that it runs today. "There was a clear need in New Zealand to digitise records and connect hospitals which was our early focus," McCrae says. "We quickly saw it was also a global need and the Rhapsody integration engine was born." Over the next few years Orion enjoyed annual growth of 20-40 per cent. By 2009, New Zealand was widely acknowledged as having a world leading system for electronic health records. The company was winning major overseas contracts and was expected to benefit significantly from the US$30b ($47.8b) the Obama Administration earmarked for healthcare technology spending. Investors included venture capitalist Andrew Clements, Stephen Tindall's K1W1 fund and Navman co-founder Peter Maire, and Orion was viewed as the country's largest software exporter. When Orion announced it was planning to list in 2014 — one of the worst-kept secrets in business circles at the time — appetite was strong. "Everyone was looking for the next Xero," says Salt Funds managing director Paul Harrison. "At the time, Telstra took a 2 per cent stake in Orion, about $20m, which gave people the feeling that an industry player of sorts had given the business model validation. "The difficult thing you have as an investor is working out whether what they're telling you is valid — that there is a market for this — and that the technology stacks up. So if you have a significantly sized player like Telstra with lots of resources investing, people see it as a good sign." In its prospectus, Orion made the unusual decision not to provide earnings forecasts, with former chief operating officer Graeme Wilson saying it was difficult to provide accurate predictions "as to when contracts will land and not land". At the time, several analysts described that as a concern. "It didn't give investors much to go on, and that really showed the uncertainty with the business because the directors weren't prepared to sign off on any forecasts," Harrison says. "So to a large extent that possibly led to investors pricing in more growth than what was really going to occur." But the lack of forecasts didn't dampen demand. By late 2014, Orion was on a high. An oversubscribed round meant some investors didn't get the share parcels they wanted and were prepared to go to the market and buy more. The day it listed, on November 26, 2014, Orion's share price hit $6.27. That valued the company at $1b and McCrae's personal stake at about $530m. The high wasn't to last. Just a few months later in January, after what Orion described as a "disappointing third quarter", the share price fell to $5.10. Slower contract closures and bill collections in North America were partly blamed. "The gloss came off pretty quickly," says Harrison. "I think the market was expecting to have the IPO and then a few announcements along the way that would show the growth was there and validation of the business model was there, and they were disappointed when that didn't happen." By the time Orion's first result since listing was posted in May 2015, its shares were below $5. Then, in June, it announced that a US contract had been delayed for a year and the share price took another hit, closing down 9.7 per cent at $4 — a new low. The company continued to bleed over the following months, its shares slowly dipping to $3.50. "It was one of those stocks that listed with a lot of fanfare and expectation, which is not unusual for high-flying tech companies that promise a lot," says Mark Lister, head of private wealth research at Craigs Investment Partners. "People sometimes forget there is a lot of risk that goes with those sorts of stories. So it's partly just that the market was really excited about Orion, and to some degree just got it wrong, and underestimated some of the risks around a business like that," he says. "It doesn't all rest with the company. Certainly it has stumbled more than once, but it's also the fact that the market expected a lot and didn't appreciate that it was still a growing business with associated risks." After disappointing sales in the US and a $60.8m loss in the 2015 year, shareholders voted with their feet. By November, Orion's stocks had lost close to 40 per cent of their value from the year before, then fell a further 17 per cent in the following month to hit $3.15. Hamilton Hindin Greene investment adviser Jeremy Sullivan says Orion faced a "perfect storm". "The whole industry was really gearing up for information sharing and integration in the US and there were billions of dollars being thrown at the sector," Sullivan says. "The company responded by hiring a number of people and their headcount grew exponentially — as did the share price and revenue for a while. "With the new Administration, Trump pretty much put a kibosh to that so the industry really pulled back on the research and development, and Orion were left with all of their staff on the books, half finished projects and no end buyer at the end of the day." Some new contracts helped the share price recover slightly, but the damage had already been done. "[Investor] confidence is so important when you're in that growing phase of the business," Lister says. "Companies need to be really careful of how their balance sheet and funding and so forth looks when they're in that phase of growing and burning through cash, because they don't have the luxury of sailing that close to the wind." Concerns about Orion's cashflow last year prompted auditor PwC to draw attention to a "material uncertainty that may cast significant doubt about the group's ability to continue as a going concern". 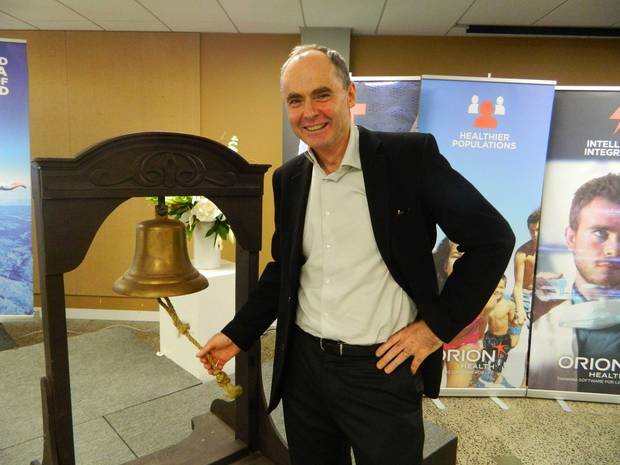 At a time when the NZX was outperforming other markets, Orion's results couldn't be attributed to the market in general — although the collapse of Wynyard Group may have affected investor sentiment towards tech companies. "It's been a rough ride for [Orion] investors over the last few years," Lister says. "They still have an exceptionally good product and good long-term growth opportunities, but there are things they could have done better." In April last year, the company announced a restructure, including $30m of cost cutting, aimed at returning the business to profitability by 2020. McCrae has publicly said he won't stay on as chief executive long-term, but plans to lead the company back to profit before he goes. Last month the health tech company posted a full-year result that was at the lower end of an already-downgraded forecast. For the financial year to March 31, Orion posted operating revenue of $170m — just inside its forecast $170m to $173m, but significantly lower than the initial guidance of about $220m. Full-year operating losses widened to $40.4m, but Orion said its loss in the second half — $15.4m — was its smallest half-year operating loss in four years. Despite Orion's woes, chief financial officer Mark Tisdel is optimistic. A year into the job, he says the company trimmed $10m of costs last year and is earmarking another $30m this year, including cutting more than 170 jobs — 16 per cent of the workforce. At its peak, the company employed 1200 staff in New Zealand and overseas. Today it has about 880. "We haven't executed as well as we could have, which is reflected in the stock price, but I do believe we can get back on the execution track," Tisdel says. Orion's 2019 financial guidance for revenue — "flat to slightly up" — and for profit — a "slight loss to break even" — seems muted compared to previous forecasts, but Orion's dismal share price performance in the past has often been attributed to it failing to meet revenue and profit projections. "We have [previously] been aggressive in our forecasting and what we shared for the coming year; it's a much more conservative approach," says Tisdel. "I think it's better to meet and beat expectations than to fall short on them. The thing shareholders hate more than anything is uncertainty." Tisdel has had experience in turning companies around, having helped get California-based software company Model N back on track in similar circumstances to Orion. He says this gives him optimism for Orion. "I look at it very simplistically. There are two things you really need to identify: one, what is the market opportunity; and two, how does this company position itself in that market with the products it has, and if you look at what we do, the market opportunity is huge," he says. "You're talking about global healthcare. It's one of the largest industries in the world, there is no predominantly successful player in that marketplace and I think we have done very well identifying the right market and creating the right products. "We have a tremendous market, deep penetration, high customer satisfaction, we just need to continue to execute in the markets we're in." There has been speculation in the market that Orion is close to announcing a trade sale, although it is unclear whether that would involve the whole company or specific divisions. When Orion this year confirmed that it was pursuing "potentially significant transactions", the share price jumped 20 per cent, but the company has kept quiet on details, with chairman Andrew Ferrier saying at its results briefing last month that he wouldn't comment "unless and until" a proposal reached sufficient certainty. This rhetoric differs significantly from McCrae's sentiments just over 10 years ago, when he told the Herald selling Orion was not part of the plan. "The company has huge potential and we all see it would be a real shame for a company like Orion to end up under foreign ownership and hollowed out like many companies before us have been," he said in 2007. Tisdel won't be drawn on whether the company might sell divisions or the entire business, but says there has been "no lack of interest" in the business. In the meantime, he says his plan is straightforward. "We need to prove that we can accurately forecast our revenue, expenses and cashflow. We did a good job of that in the second half of fiscal year 2018, but we need to get better, and execute better. "If you bring the structure and the discipline into the model and increase recurring revenue, then it's predictable and I think you then gain confidence from auditors and from the investment community. "Six months is not going to reverse a trend that happened in the past but we are on the right track."